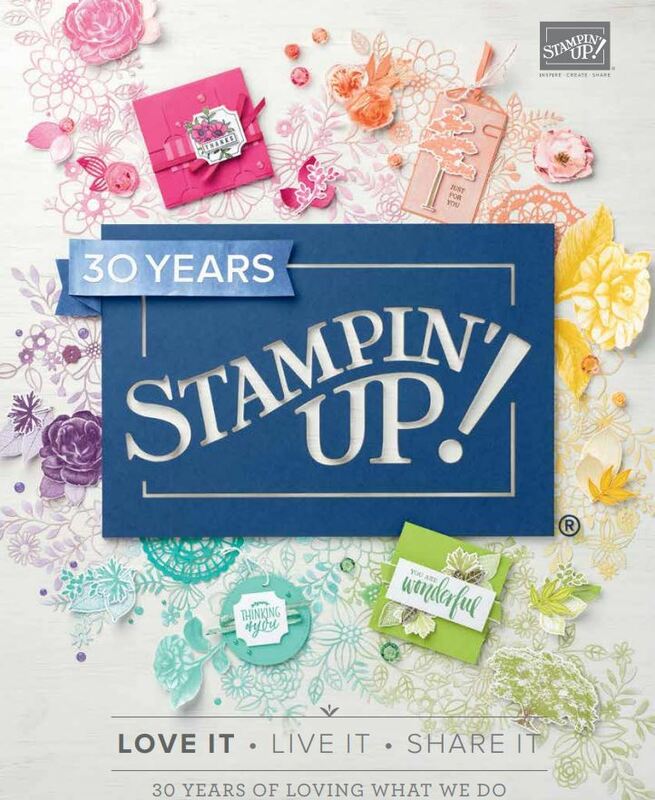 Woohoo its our 100th Challenge at Just Add Ink and weve got a blog hop happening! Youve just come from Chantells beautiful blog and heres what I came up with using the new Saleabration papers and embellishments(Everyday Enchantment) for our Just Add Crowns challenge. Ive done a few of these cards for some Birthdays for family and friends recently. I always do a run down of each of my kids year for them to go into their albums. Now we have a Prize for this challenge! 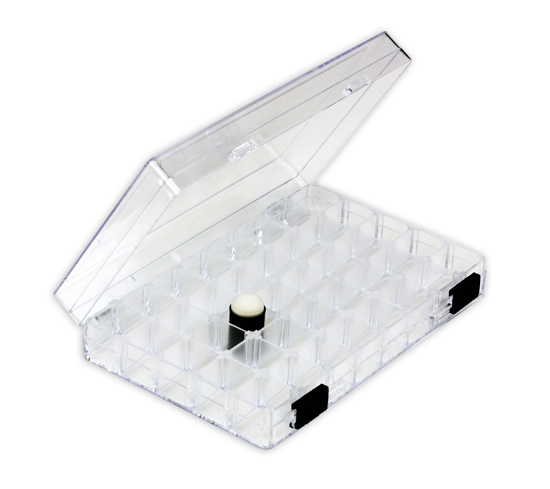 ..Its this..It fits 40 daubers and we have two of these to give away. One for the winner of the challenge and one for a blog reader/participant who comments on ALL of the stops along the way. When youre done email the Just Add Ink hotmail and tell us youve completed commenting on the blog hop. So now we are off to Jo Eades blog ..click on the badge below to go to her beautiful project! Hope you play along with us this week! Fabulous Colours Delys and a great LO too. I love the bright colors and the pattern combinations. Great job! I just love the card you have made from the Saleabration papers – it’s so cheery!!! Beautiful cards and layout. I love the bright colours in the dsp. THe black and white photos contrast so well with the paper, great idea. Love both the cards and the page! So pretty!!!!! And I’m so glad your daughter was so touched by your writing! Wow …. 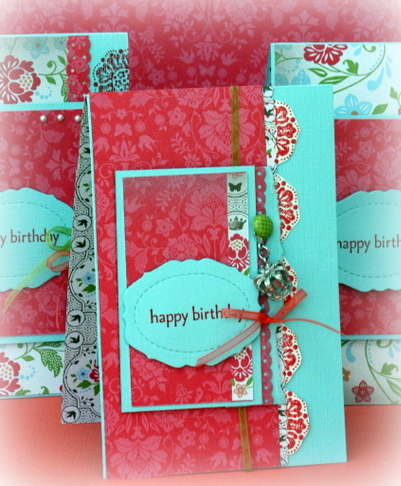 I love these cards and layout and those super cute trinkets, they really add lovely touch …. I love your “awwww” moment …. that particular moment will be a moment in time that will be treasured throughout the years to come!!! Love it …. wow what alot of work you have done, I just cant wait to get these papers in a few weeks, thanks for some wonderful inspiration Delys. 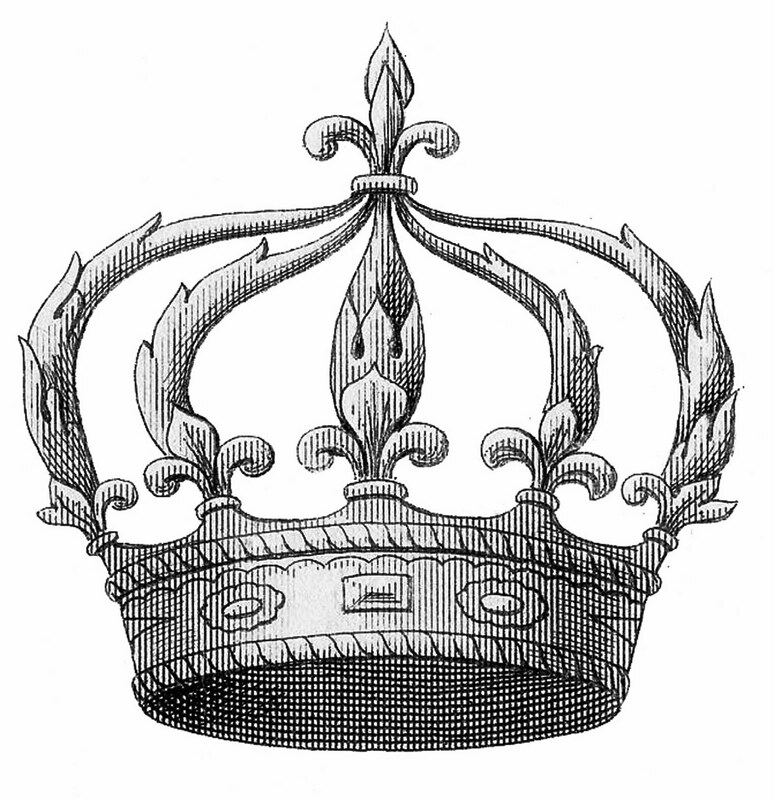 Love the crowns! They’ve been on my wish list for ages! Not at work this week so I have time to follow a blog hop for the 1st time – glad I did! I LOVE your scrapping style & whenever I see your work I’m inspired to create! Those cards are pretty darn awesome too by the way!! Your card is divine Delys, but that scrap page – oh my! What a wonderful way to remember your kids each year, but also for them to look back on in years to come and have your thoughts to look back on also. What an absolutely treasure! I love that DSP too! Beautiful cards and an even more gorgeous layout. cool as man! luv Ted! Gorgeous card and another wonderful scrapbook page Delys! I love the way you’ve used the dsp on them both. Delys these crowns are adorable! I had seen them in the catty but not yet bought any, I have to say your projects have gone a long way to change my mind. I love the rich colours on your card too. Beautiful card and layout Delys.Love the colours, layouts and design – so basically everything – lol! How wonderful that your daughter appreciates it so much too! Simply stunning Delys. One of these days I’m going to purchase these little trinkets. Love the card & your layout, they are both beautiful Delys, what a gorgeous smile! Your card is gorgeous Delys – looking forward to getting those papers myself! Love your page layout and really nice for you to have a sweet moment with your daughter. just love these dlys, wonderful as always. Wow Delys – The cards and the scrapbook page are fantastic. I love all of the fussy cutting of the flowers. 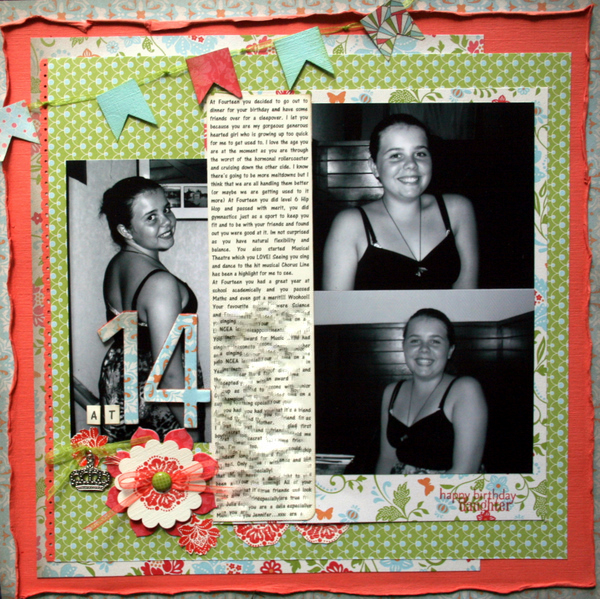 Love your scrapbook page and your daughter is certainly growing up quickly. 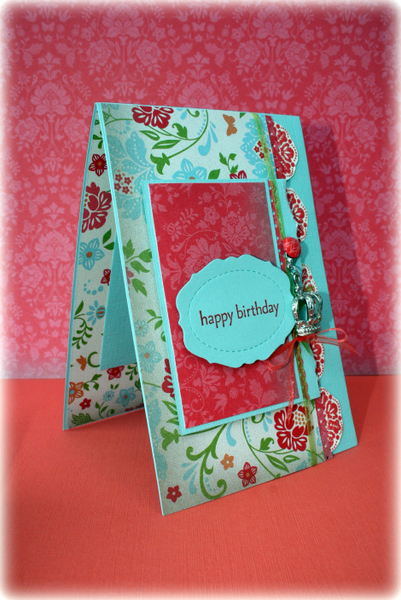 Love the bright colours you used for your card.